As the adage goes, “You can’t know where you’re going until you know where you’ve been.” We think our history of growth says a lot about where we are heading as a company. In this post, we want to reflect on some of our milestones to give you an idea of how we see our future. This, of course, was the first of many milestones. We started with four rigs, and now we have 134. Right from the beginning, there were some fundamental values that enabled (and continue to enable) our success: values like listening to our customers, staying on top of technology, focusing on performance and always taking care of our team. Taking care of our team means working to keep every worker safe, every day, and giving our employees opportunities that allow them to grow their careers and share in our success. From 1996 to 2000, Trinidad grew its fleet modestly, but in 2000 ­– after Trinidad started being traded publicly – our growth took off. In fact, only two months after our stock hit the TSX, we had already doubled our fleet. 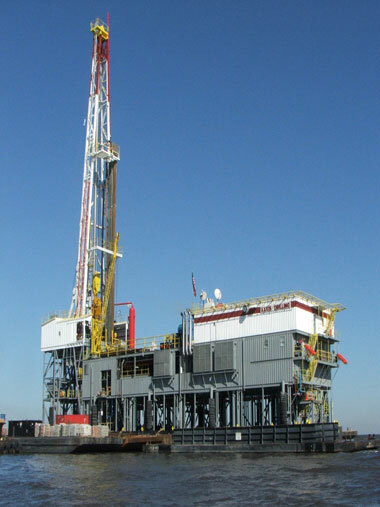 Trinidad Rig 125 operates in the U.S. In 2005, we moved into a huge new play – the U.S. 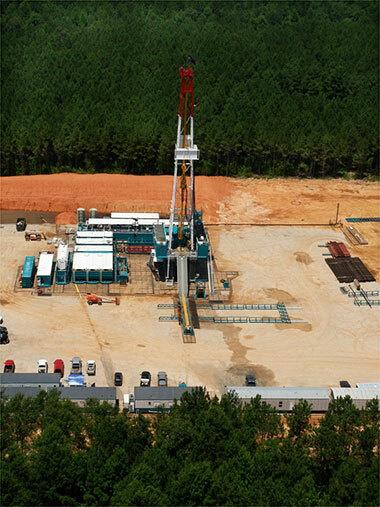 Responding to demand, we built 12 triple rigs that were deployed south of the border. Our North American growth continued in 2008 when Trinidad announced it was moving three rigs to east-central Mexico to operate in the southern edge of the Chicontepec field. As Ciulka said, we have stayed at the top of our industry by responding to new plays. For example, in 2007 we acquired the company Axxis Drilling. Included in the deal was our first barge rig (we currently own two and operate five inland water barge rigs in Louisiana). Right now, we are building what will be one of Canada’s largest and most technically advanced rigs. It is being designed to drill natural gas in the Liard Basin (we’re working on a post about that rig so look for that in the coming weeks). This agreement also includes operations in Mexico and could open up opportunities in other international markets. “By aligning ourselves with a major oilfield-services company, such as Halliburton, we are able to open the doors to a new level of international growth,” said Lyle Whitmarsh, Trinidad’s CEO, when the deal was announced. Check out a full timeline on Trinidad’s company history page, or visit our careers section to learn about being part of our continued growth.